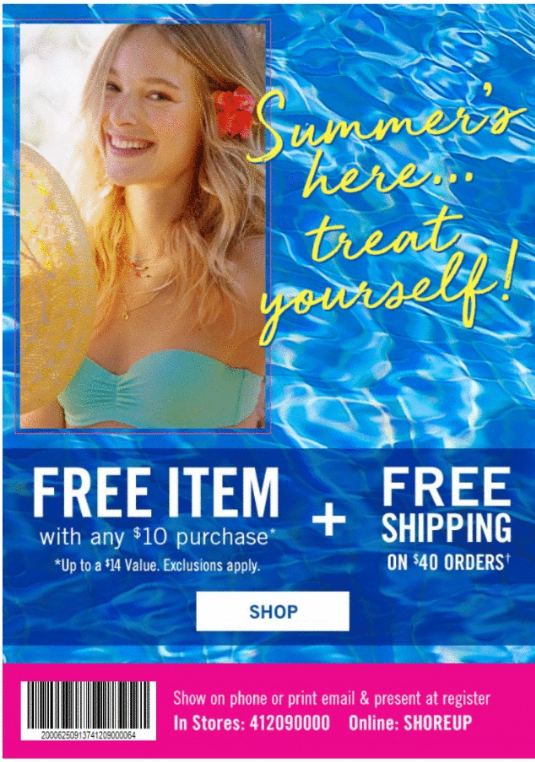 Head over to Bath & Body Works and receive a FREE Full Priced Item with ANY $10 Purchase (up to a $14 value) when you use promo code SHOREUP at checkout! If you prefer to shop in-store, bring this coupon with you. Excludes 3-wick candles, prism single wick candles and sale items. This offer is valid through June 3rd.